The Total Solution for all your remodeling needs At Total Home Solution, we build a relationship with you and your home. Understanding both is the key to our success and the reason for our growing referral business all across Montgomery County. Capable of handling the largest transformations to the smallest fixes, our award winning team of experienced craftspeople can handle any job of any size - one dedicated company that does it all. Try us on something small - we do almost all home repairs - and then you'll see why so many homeowners in your community have made Total Home Solution the one source for all their home improvement and remodeling needs. A new generation of home repair Your home is your largest investment, and for many, also the largest headache. Finding one experienced, trustworthy reliable craftsmen to work on your home is a challenge. Finding tradespeople to work on every aspect of your home is another. But what if you could manage the to-do list for your home with one simple call? What if you had a solution that would enable you to set your mind at ease and be worry free? Total Home Solution is your answer. Instead of trying to line up a list of separate companies or trade specialists, we are your one-stop solution for every remodeling, home repair and maintenance need. 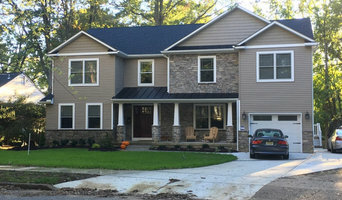 Unique processes that help you reach your goals At Total Home Solution we use Design-Build, an extensively detailed, end to end planning approach that encompasses every phase of each project. Normally used only by Home Builders and the largest residential construction firms, Total Home Solution brings this philosophy to every remodeling project, no matter the size. Detailed schedules and checklists enabling us to give accurate budget projections and make sure that the client is as comfortable with every detail of the overall project. Our planning matched together with our team of designers allows us to achieve our goal on every job: harnessing the efficiencies of the design/build process to beautifying your home, building your trust. We are your local resource for the highest quality in home renovations. Using top notch products & procedures, Wentworth Contracting is setting new standards in home efficiency, cost effectiveness & customer delight. From start to finish we strive to make your experience seamless. All products supplied are guaranteed. All procedures performed have a warrantee. Accepting nothing but the best, Wentworth only partners with tradesman and venders that demonstrate the highest level of professionalism. At Walsh Hardwood Flooring, we pride ourselves in high quality hardwood flooring work of all kinds. Our flooring technicians combine for over 30 years industry experience and have been together at Walsh Hardwood Flooring for over 10 years. Walsh's philosophy is to put customer satisfaction above all else. Walsh specializes in custom work including restorations, borders and inlays but also completes standard refinishing and installations. Walsh works with the top wood flooring manufacturers across the country to ensure that the materials you choose for your installation are the best woods for the job. Walsh Hardwood Flooring is fully licensed and insured and the work is owner supervised. All our work is completed by master craftsman to ensure customer satisfaction. Collaborative Design. Built with Meticulous Detail and Transparency. Enjoy our Award-Winning Work in Your Home Domers Construction is known for an award-winning blend of architectural creativity, absolute precision and hands on craftsmanship. Their commitment to continuity, prudent planning and successful solutions has recently earned them the prestigious National CotY Award. Jon Domers, the founder and owner of Domers Construction stays in close contact with each of his clients throughout the duration of all projects. This open line of communication – combined with his vision of true transparency and meticulous detail have made Domers Construction one of the most popular Design Build remodelers in the area. Domers Construction was built on the unique blend of Jon’s drive for excellence, strong management background, and love of woodworking & construction systems. Passion and energy are the fuel that drive every project – and every project starts the same way - with a complimentary consultation with Jon, himself. Their clients appreciate the collaborative nature of this innovative design-build model. Jon will help navigate them through the process as the delicate meshing of creative concepts and realistic construction begin to unfold. The key to their success is the transparent and respectful approach Jon has engrained into everyone on his team. Jon and his team strive to fulfill the promise of exceptional service, beautiful design, master craftsmanship, and respect for your budget. They even back up that promise with a written workmanship guarantee. So go ahead… Design. Build. Enjoy. WGC is a veteran owned full service general contractor established in 2016. We have over 20 years of experience in the home improvement industry. WGC maintains a full compliment of licensed trade professionals, as well as other in house trades such as painting, drywall, flooring, etc. 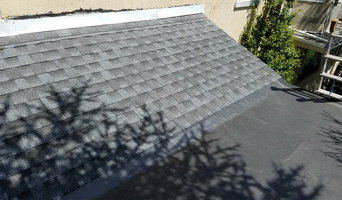 WGC can cover every aspect of home building, remodeling, improvement, and repair from the foundation to the roof. MATCH Remodeling, Inc. is a full-service home remodeling company serving Philadelphia and its suburbs. Our scope of work encompasses any major home remodel or alteration, including full home renovations, additions, kitchens, bathrooms, basements (also row-home dig-outs), decks and roof decks. We are general contractors in the truest sense of the term, shouldering full responsibility for every aspect and detail of the project. We seek out the area’s most professional and reliable tradesmen and sub-contractors, choosing them for particular projects based on their specific skill sets. We establish relationships with the leading suppliers of building materials and finishes, both online and brick-and-mortar. And we are unrelenting in our attention to scheduling, budgets, cleanliness and final details. Our principal is LEED Accredited and we have a full-time engineering/design specialist. 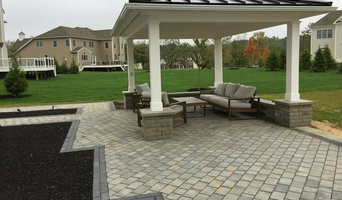 Lindsay Construction Inc., is a General Contractor/Design-Build firm based in Chadds Ford, PA. We’ve been in the business of meeting or exceeding the expectations of our clients since 1987—building custom-homes, expansions and renovations, additions, kitchens and baths, as well as period restoration. Our reputation is how we’ve grown. We believe that if we meet or exceed the expectations of our clients they will call on us again in the future and recommend us to others. From building an estate-style home to creating a period-style firewood shed, all our work is simply—done right. And by partnering with some of the areas premier architects and designers the finished projects are always something of lasting pride for all. Quality-craftsmanship, attention to detail, a tried and true building process, as well as clear communications result in a great outcome for everyone. Hello! We're glad you found us. My name is Alix Friedman and I am the founder and President of The Golden Hand. I started this company with one goal in mind: to help others make their current homes, feel like their homes. We take great pride in anything we put our name on, you will see this precision through our repeat clients, positive testimonials, and the work we do on your house. In addition to our detail-oriented workmanship, I also strive to reflect my personal morals into The Golden Hand. I studied environmental studies at college and truly believe in reducing and reusing. When we are on a job our goal is to keep waste to a minimum, repurposing as much refuse as we can. We go to great lengths to repair an item through all means necessary before fully replacing it. Not only are we environmentally conscious, but we also believe in giving back through charity. The Golden Hand donates 2.5% of each job's revenue towards that clients' favorite charity. If there is anything we can do for you, please do not hesitate to give us a call or send us an email. We look forward to seeing you soon and continuing the precision craftsmanship for which The Golden Hand is known. Souder Brothers Construction specializes in high-end residential renovations and commercial renovations. Based out of Horsham, PA, Souder Brothers offers over 38 years of expertise and has a team who is fully dedicated to providing personalized service and exceeding the client’s every expectation. Souder Brothers can assist architects, designers, and homeowners alike in bringing their project ideas to life. Souder Brothers will provide nothing but excellence and professionalism to every aspect of your project. Our company motto is “whatever it takes,” and those are words we live by. No matter the size of your project, Souder Brothers will always give you 110%.